Autism falls under the Pervasive Developmental Disorder (PDD) category in the DSM. There are five different PDDs: autistic disorder, Asperger’s Disorder, PDD-NOS, Rett’s Disorder and Childhood Disintegrative Disorder. Both Rett’s Disorder and Childhood Disintegrative Disorder are quite rare. 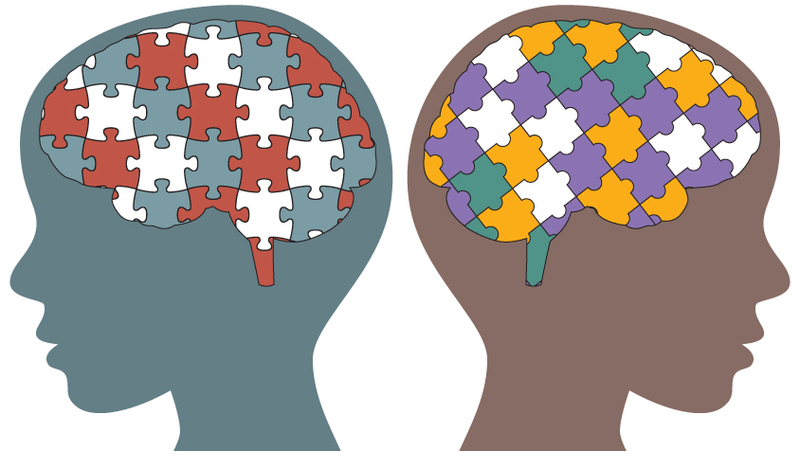 Learn more about these two uncommon types of autism. Rett’s Disorder, sometimes referred to as Rett Syndrome, almost exclusively affects females. The syndrome was named after Austrian physician Dr. Andreas Rett who first described the group of symptoms in 1966. Rett’s Disorder is characterized by a period of typical development until the child is between six and 18 months of age. At this point affected individuals then experience significant regression in development. It is not uncommon for children with Rett’s Disorder to lose their speech, the ability to walk, and the loss of most basic motor functioning. In addition to the physical effects of Rett’s Disorder, individuals with this syndrome also usually experience seizures, excessive teeth grinding, unusual patterns of sleep, and periods of irritability. There is no known cure for Rett’s Disorder and while some affected individuals die in childhood, many live on well into adulthood. Rett’s Disorder affects approximately 3.8 in every 10,000 females. Similar to Rett’s Disorder, Childhood Disintegrative Disorder (CDD) also starts off with a period of typical development. Unlike Rett’s Disorder, CDD affects many more males than females. A child with CDD usually experiences between two and four years of typical development before entering a regressive stage. Children affected by CDD can lose all of their language, toileting abilities, self-care skills, and interest in their environment. At this point the disorder can easily mimic classic autism. Childhood Disintegrative Disorder is also called Heller’s Syndrome; Viennese educator Theodore Heller first detailed the disorder in 1908. At this point there is no known cause, nor cure, for Childhood Disintegrative Disorder. Many children with CDD see benefits through traditional therapies used for other autism spectrum disorders. Rett’s Disorder and Childhood Disintegrative Disorder are quite uncommon. Due to their rarity, there is not much in the way of research being conducted when compared to the other autism spectrum disorders. Studies into Rett’s Disorder have been able to confirm that there is a mutation in the gene MECP2 located on the X chromosome. No such genetic link has been found in individuals with CDD. Research will continue in the hopes of bettering the lives of families affected by these two uncommon types of autism.